Biostimulants are diverse formulation of compounds and micro-organisms that are mixed with soil or applied to plants to improve crop yield, quality and better tolerance of abiotic stress. The usage of biostimulants in agriculture has rapidly increased during the last decade as the public and private sector agricultural R&D organizations are working for the solutions of problems associated with the modern agriculture. Rising global population along with limited availability of land has significantly raised the concerns to meet future demand for food supply, which is shifting the agriculture industry towards precision farming, thus opening vast avenues for biostimulant market growth. Additionally, global warming has a severe impact on climatic conditions which is resulting in yield instability of several crops. Shifting climatic conditions has considerably raised the demand for biostimulants in order to improve the crop quality. 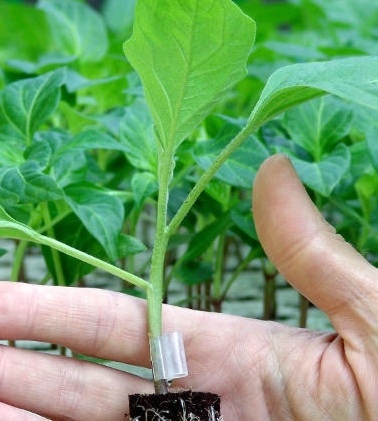 Environmental regulations by different governments and initiatives for adoption of biological farming instead of using synthetic fertilizers will further propel the growth of biostimulant market. Key market players adopted the business strategy such as merger & acquisition to expand their business in untapped regions is also going to bolster the global biostimulant market growth. For instance, BASF acquired CropDesign, a Belgian biotech company in 2006 and Becker Underwood in 2012. These acquisitions helped the BASF to provide advanced biological solutions and products in the areas of crop protection, turf and horticulture to its customers. According to report of U.N there will be a need to increase food production by 50% by 2024 owing to rising population. In 2016 global population was more than 7 billion which is estimated to cross 9 billion by 2050. Since the agricultural land is expected to grow only modestly, agricultural producers will be required to become more efficient and productive to produce enough food supplies for a growing, hungry world. Regular deviation in climate change as a result of global warming has reduced the crop yield and productivity, which is significantly growing demand for biostimulants in order to increase their crop yield and productivity. Additionally, government stringent policies and initiatives to use biostimulants instead of chemical and synthetic fertilizers are also playing an important role in the growth of biostimulants market in different geographies. However, unclear legislative regulations regarding biostimulants is expected to throttles the growth of biostimulant market. For instance, In United States each states has its own fertilization program, with number of different and conflicting standards for managing fertilizers, biostimulants and soil amendments. Moreover, non existing framework for how to register these products makes it difficult for many companies and manufacturers to register them in a number of U.S. states. The global biostimulant market accounted for USD 1.9 billion in 2016 and expected to reach USD 4.2 billion by the end of forecast period i.e. 2024. Further the market is anticipated to expand at compound annual growth rate of 11.0% over the forecast period i.e. 2016-2024. Europe is the dominating region with more than 38% shares in global biostimulant market. Europe union's stringent regulations for the environment safety and support for organic farming ensures Europe's dominance in global biostimulant market over the forecast period. Europe is closely followed by the North America in terms of revenue share of more than 32% in global biostimulant market. Asia-pacific is anticipated to witness healthy growth over the forecast period owing to regional government support for sustainable farming and subsidies for biostimulants. China, India and Australia expected witness fastest growth in the region during the forecast period.